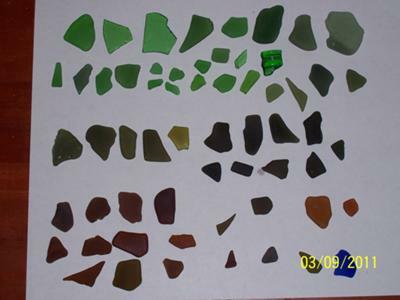 I found the glass on April 2nd along with probably 2 or 3 lbs of mostly green, white and some amber. Took this photo with my ipad on April 3rd when I got back to our apartment. 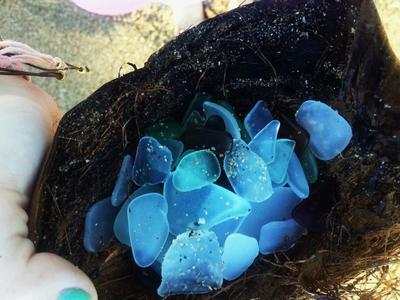 I spend the winters in the French West Indies and have started glass hunting on one particular beach. 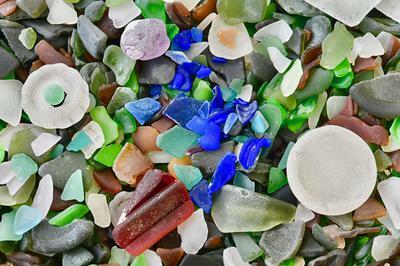 My husband and I would spend two hours going up and down a long beach usually collecting one large handful of glass. Recently we stopped off at a new area and filled a bottle in 20 minutes so that is our new spot...much less work. I would like to identify this unusual piece and thought maybe it could be part of a plate. My suggestions for taking a photo is do it in a very bright space and maybe have something interesting in the background. 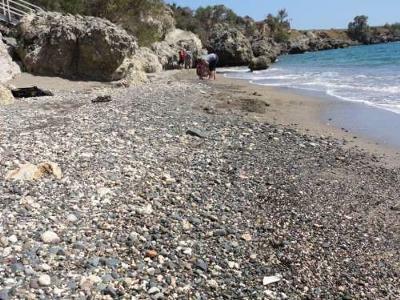 Hello Christine, would you be willing to share your Guadeloupe beach location? I will be there for a couple of days in Feb. 2019. 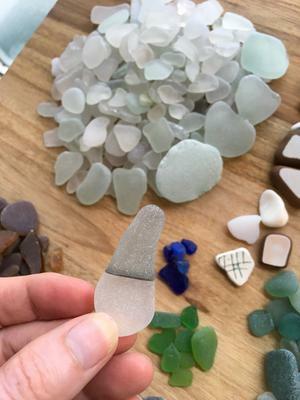 In return, I am happy to share my very best sea glass beaches in Martinique (the BEST ever, amazing) and on the East coast of the US. Thank you! 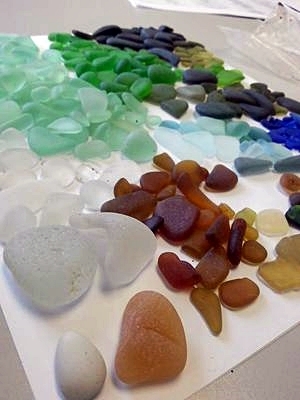 I remember several photos of this type of sea glass, including one that I myself found. In a comment someone mentioned it being old television tube glass. 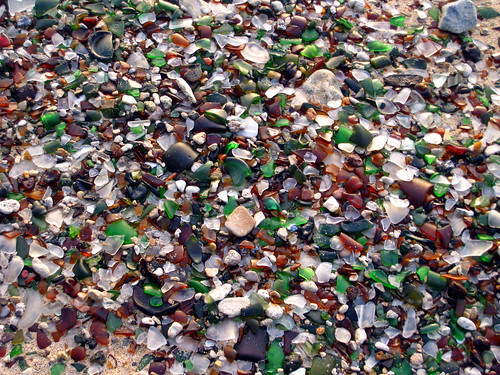 It was layered and quite possibly explains this otherwise very strange layering of glass. 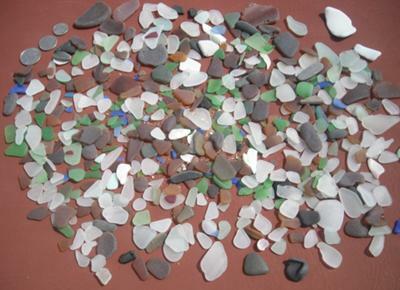 I did a search on Google but couldn't find any cross-sections of TV glass. Perhaps someone can positively identify this.